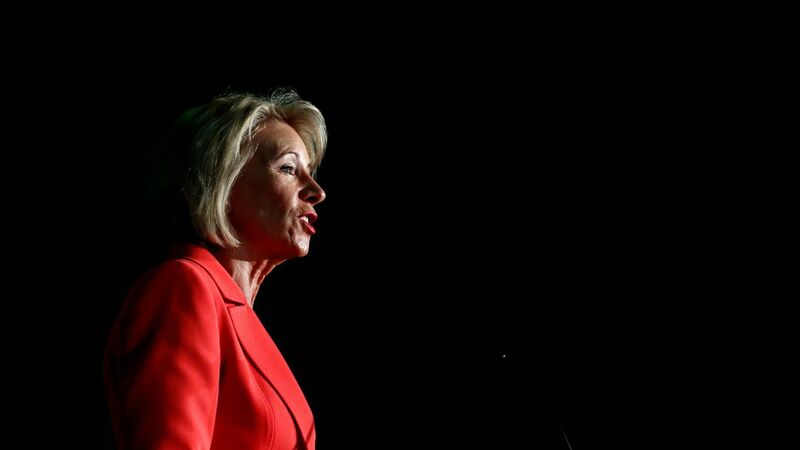 The Trump administration is rewriting Obama-era rules of loan forgiveness for students who claim they've been swindled by for-profit universities, per AP. In the meantime, the Education Department is delaying action on 65,000 claims. The Obama-era rules "would have forbidden schools from forcing students to sign agreements that waived their right to sue" and "schools, not taxpayers, could have been held responsible for the costs," AP reports. Some forgiveness claims were supposed to be approved in October, but the Education Department said it will need up to six months to review them. Worth noting: Trump University, a for-profit institution started by President Trump, paid $25 million to settle fraud claims earlier this year.